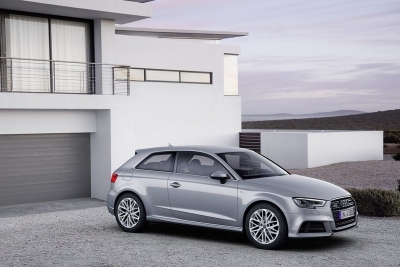 The Light, the Premium, and the Reserve. 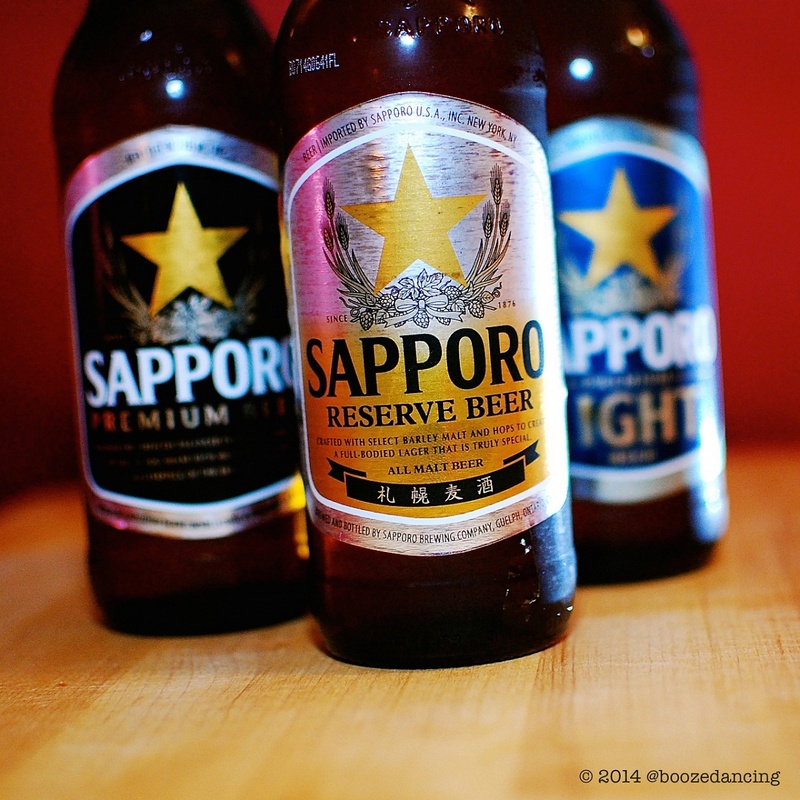 Three Sapporo Beers Reviewed! G-LO: So here’s the plan! 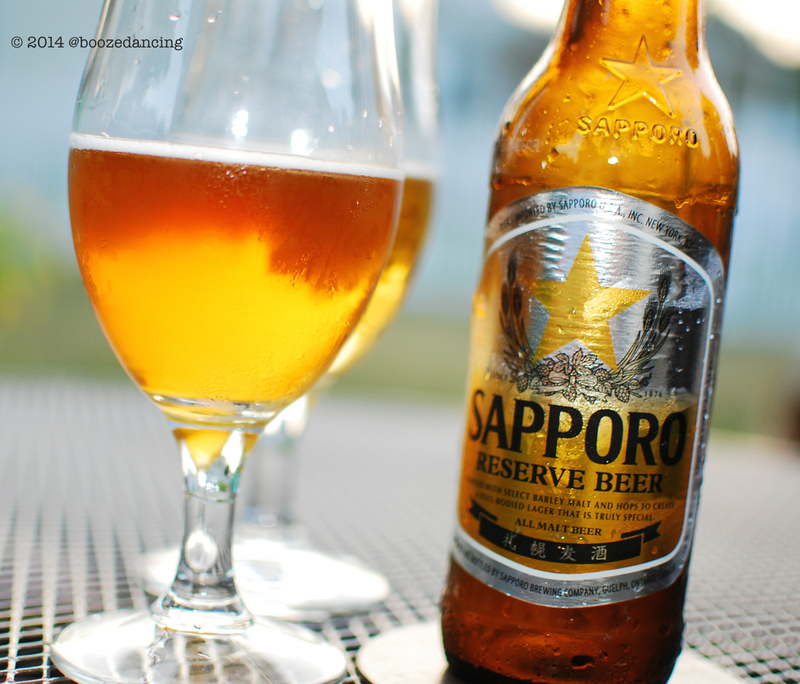 You get the kids to go play in your yard and pester the wives, while I head inside to grab some glasses, my camera, and those Sapporo beers that we need to review. Sound good? G-LO: Wait. Why are these kids still here? Go away boys! We have serious work to do here. Limpd: Nicely done G-LO, though I could have done without the crying. They sound just like you do when you’re having that last dram from a beloved bottle of whisky. Guess the apples didn’t fall far from the tree. Quit the lollygagging and pour me a beer, Sally! G-LO: Sally? That’s Mrs. Sally to you, Dolores! Can we get started now? Limpd: Just shut up and start pouring so that you can get your pretty picture taking out of the way. Let’s start with the Sapporo Light. I’m guessing we’re headed to Amstel country by way of Japan. Limpd: Wow! Well that certainly smells like a light beer. It’s a little malty. I’m getting nothing else. Where the hell are the hops? G-LO: It pains me to admit this, but your absolutely right. I’m getting nothing but malt in a sweet and yeasty smelling kinda way. The nose on this beer is boring me to tears. Are you bored too? You look bored. Limpd: I am bored! Let’s move this along. I’m going in for a taste. G-LO: Sorry. I jumped ahead and did that already. This beer reminds me of college. To be more specific, this reminds me of the 100 Days To Go party (countdown to graduation!) at Polo Bay (no longer there). It was a $20 open bar. And by “open”, I mean unlimited bottles of Coors Light. It was like drinking ice cold, fizzy, malted water. 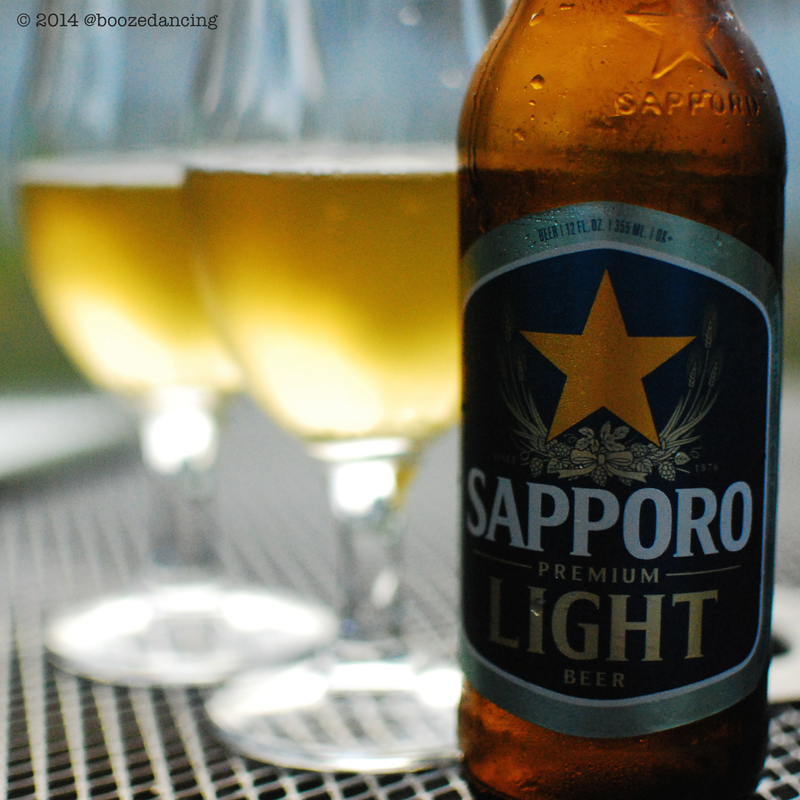 The Sapporo Light might be a wee bit better, but not by much. Limpd: Yeah. This isn’t very good. It’s a little doughy, but mostly just a whole lot of meh. By the way, those flowers over there look a little parched and in need of hydration. Do you mind if I pour the rest of my beer into that flower pot? G-LO: Go right ahead. And while you’re at it, pour the rest of my beer in there too. While you’re doing that, I’ll set us up with some clean glasses for Sapporo round two. Limpd: Well that certainly looks a bit better. The Sapporo Premium has a bit of a darker color, but once again, no head retention. Whatcha getting on the nose Alistair? 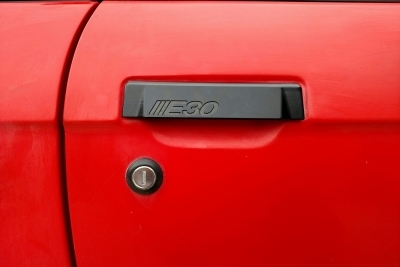 G-LO: Agreed on the color. This one has a healthy-ish glow, unlike you, Sir Pasty Complexion. Definitely a bit more depth on the nose too. Think darker, richer maltiness. But what I really want to know is, where the hell are the hops? Limpd: Listen up my Sicilian friend, Pasty and Irish go hand in hand, so quit stating the obvious. Anyway. The Sapporo Premium has a bit more going on when compared to the Light, but I’m still unimpressed. This one is a bit more doughy, but as you said, where the hell are the hops? G-LO: Yeah. If the third one is as dull as these two, there’s a good chance that I might fall asleep in my beer. The flavors on this one aren’t much better than the Light. Very sweet and malty. Talk about a one dimensional beer! There is zero bitterness to balance it out. My tongue is getting all icky. Kinda like how it gets after munching on way too much candy. Limpd: Thanks for that vision. I’d rather not have to hear about your icky tongue, but to tell you the truth, you’re right. Where’s the oomph? And why exactly is this called “Premium”? While it’s a little more full bodied than the Light, it’s not very interesting. Shall we water another plant? G-LO: Yes yes! You water the plants and I’ll go get us some clean glasses. Limpd: Crap! I forgot my color wheel. I swear this one is marginally darker than the other two. Hang on. Did you happen to see where these beers were brewed and bottled? G-LO: Huh? Umm. No. I didn’t pay much attention. You mean they’re not brewed in Japan? Limpd: Nope. Not even close. According to the tiny print on the bottom of the label, the Premium was brewed and bottled in Lacrosse, WI and the Reserve was brewed and bottled in Guelph, Ontario. Me thinks we need to do a bit of digging! Since you’re a wiz with that smartphone of yours, Google it! Limpd: Speed it up G-LOsan! I haven’t got all night. G-LO: Keep your shirt on Old Chub. Stupid autocorrect keeps changing Guelph to Gulf. Remind me to turn that off one of these days. So according to Wikipedia, the Encyclopedia Britannica of the 21st century, the Premium is brewed by City Brewing in La Crosse and the Reserve is brewed by Sleeman Breweries in Guelph. Limpd: Interesting. Do they make any other beers at those breweries? G-LO: Yeah. City Brewing in La Crosse also makes Red Stripe, Naragansett, Sam Adams, Milwaukee Light, and a few other beers, while Sleeman brews Stroh’s, Pabst Blue Ribbon, Old Milwaukee, and Schlitz for the Canadian market. Good to know that they’re using two top notch facilities to make this stuff. Limpd: Glad to hear they spared no expense on the brewing of these beers. Stroh’s, Old Milwaukee, and Schlitz. That’s some quality stuff right there! G-LO: Hey now! I have fond memories of Schlitz. Remind me to tell you the Schlitz pony bottles and Cheese Curls story one of these days. This one goes back to my high school days. Can we go back to the review now? Limpd: Mmmm. Cheese curls. It’s no charcuterie and cheese plate, but I do love me some Cheese Curls! So this one is a bit darker than the other two, but other than that, it pretty much smells and tastes the same. G-LO: I’m with ya! Yes, the malts are a bit deeper, but other than that, I don’t understand how the Reserve is any different from the Premium. Whatcha getting on the palate Buckaroo Banzai? Limpd: I’m getting a whole lot of meh. This is some truly unremarkable and forgettable stuff. 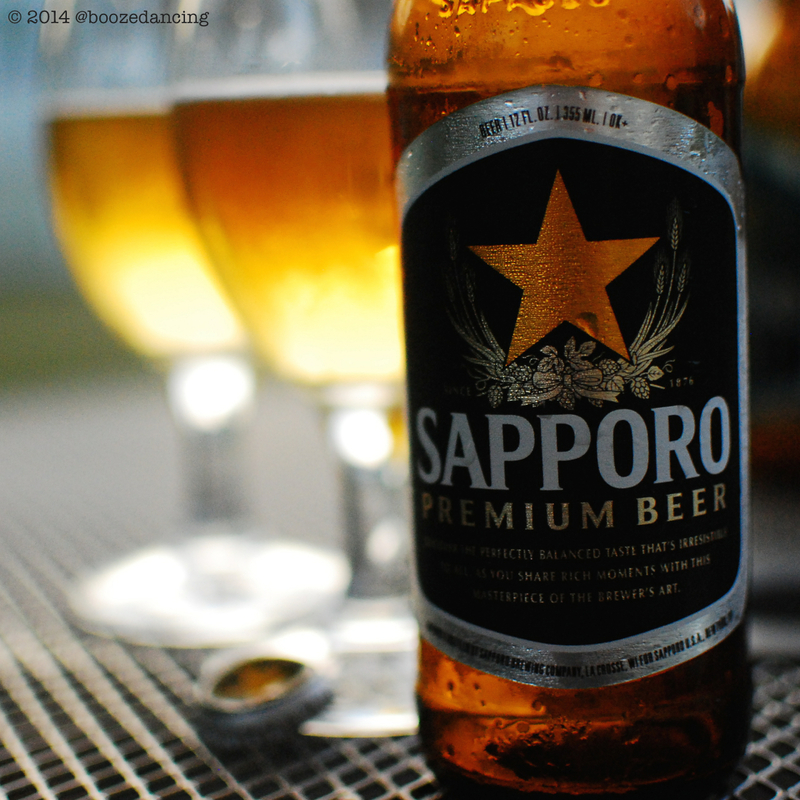 When you first mentioned that some Sapporo beer samples had arrived, I was hoping that this would be like a virtual trip to Japan for a high quality beer tasting, but instead what I got was a rerouted flight to La Crosse on the way to Peoria, IL. On the plus side, it looks like your flowers are perking up! G-LO: Well said Limpd-san! I have nothing further to add. 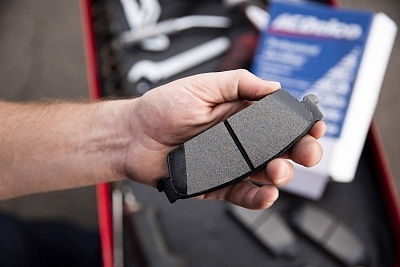 Limpd: Really? Mr. Longwinded has nothing more to say? I’m flabbergasted! So what are we having next? I need something with a bit more oomph. Is it Whisky Time yet? G-LO: It’s always Whisky Time! How about some Hakushu or Nikka for a bit of Japanese redemption in a glass? Limpd: That sounds fantastic. Me likey Japanese whisky!